In the Arsenal of any woman to maintain the natural beauty must be face masks. They can help to solve different problems, the key is knowing what tool to use. To preserve the natural beauty of the effective masks for skin at home, because they are made from natural ingredients, without chemical additives and preservatives. Take care of your skin regularly, it will help you to achieve a visible effect. The main rule of masks that are cooked at home – find the right tool that is suitable for you. If you have normal skin, the mask is recommended to do 2-3 days so that the skin was not used to constant exposure. Even if you have perfect skin, it requires care to maintain her youth, health and beautiful appearance. We recommend cleansing and nutrient formulations, mixtures based on essential oils, fruit purees, cereals, egg yolk. If the skin is dry, the mask is necessary for smoothing out wrinkles and hydration balance. Dry skin needs nourishment and hydration. Moisturizing masks can be done at any time of the year but not more than 2 times in 10 days. Nourishing mask is recommended to be applied in the cold season. The most effective mixture consisting of oatmeal, homemade mayonnaise, sour cream, honey, egg yolk, liquid vitamin etc. For oily skin use masks that create a rejuvenating effect, normalizes the secretion of the sebaceous glands, tighten facial contours, improve complexion. The most effective mask which herbs, mint, sage, fresh-water sponge, white clay, yeast, milk, cucumbers, acid various berries and fruits. With constant application of these tools will help get rid of inflammation and Shine. Combination skin is very sensitive to external influences and some of the ingredients can cause different reactions. Masks of this type should eliminate oily Shine some part of the face and to moisturize dry part. Before applying these masks need to check your skin’s sensitivity to specific products. Beauticians recommend summer to make masks for oily skin, but in the autumn-winter period to apply remedies for dry skin types. 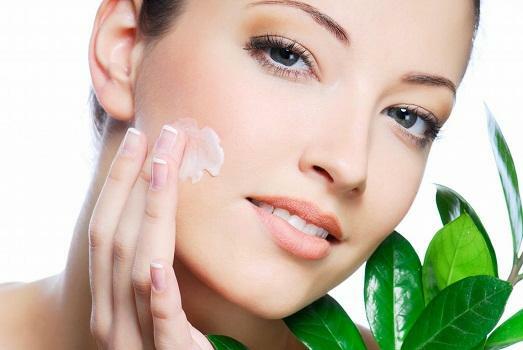 Sensitive skin requires special care to soothe and moisturize it, to give it an attractive appearance and freshness. If your skin is sensitive, do not use the mask film, the composition containing alcohol. If the mask is not suitable, be sure to change it to another. If the skin problem, the mask is designed to restore and comprehensive care. It is better to use anti-inflammatory and wound-healing mask that eliminates acne, blackheads, redness, rashes, dry pimples. The most effective mixture consisting of: chamomile, calendula, aloe Vera, cherry, orange, yeast, strawberries, potatoes.